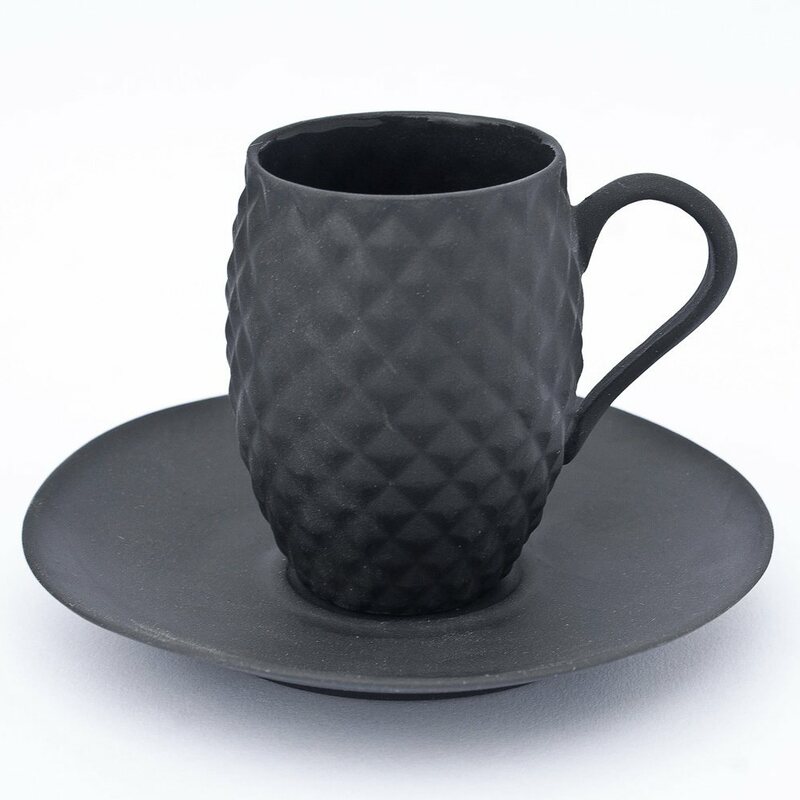 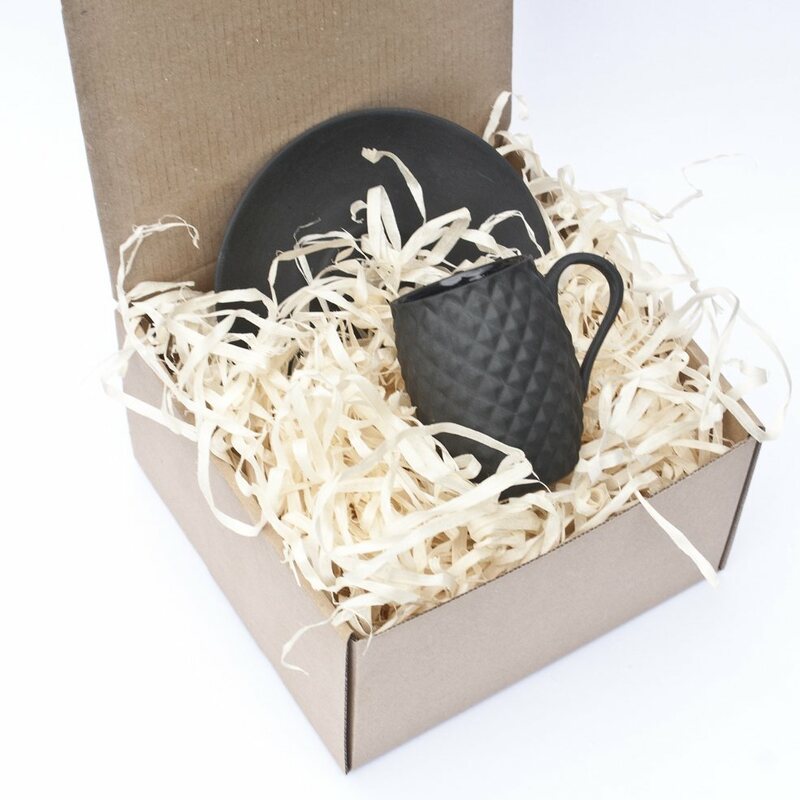 An elegant black porcelain cup and saucer that you will love. This cup has a simple shape, decorated with a pineapple pattern. 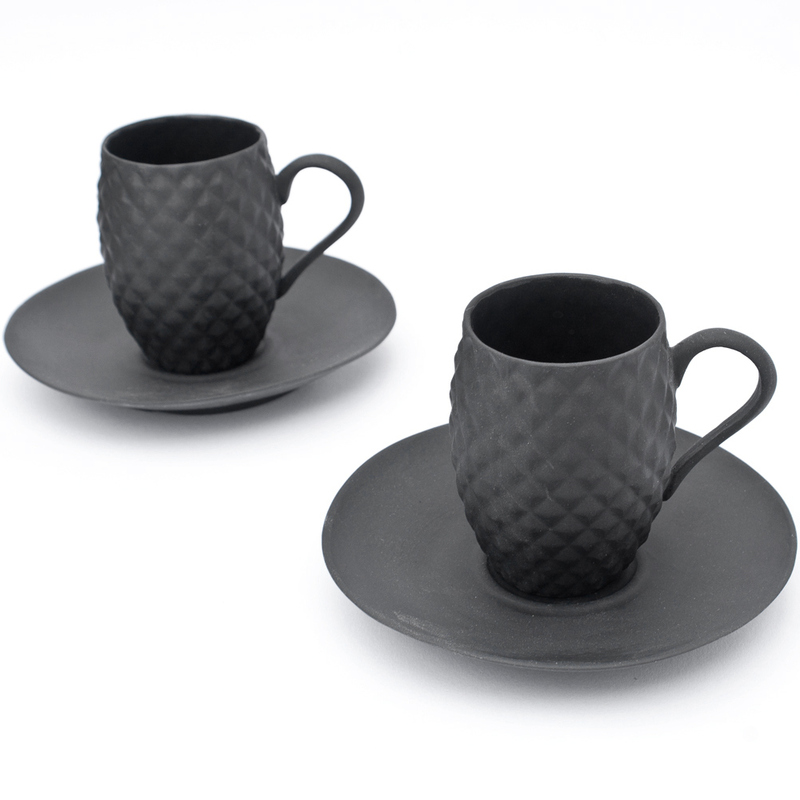 Impress your guests by serving them an espresso in it, they will be surprised of how comfortable it is to use. A great cup to add to your collection or gift to a loved one in any occasion.